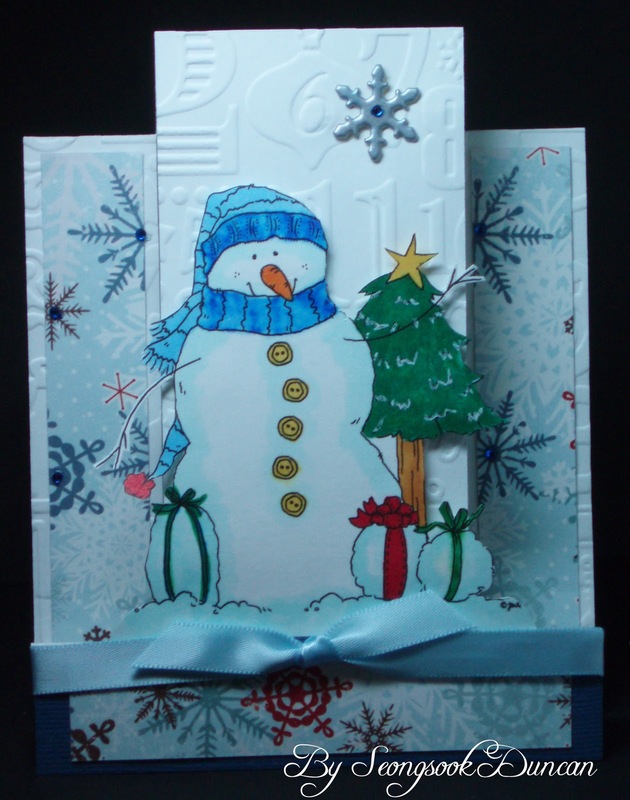 This is a great sketch to play with that I made three sample cards as below. 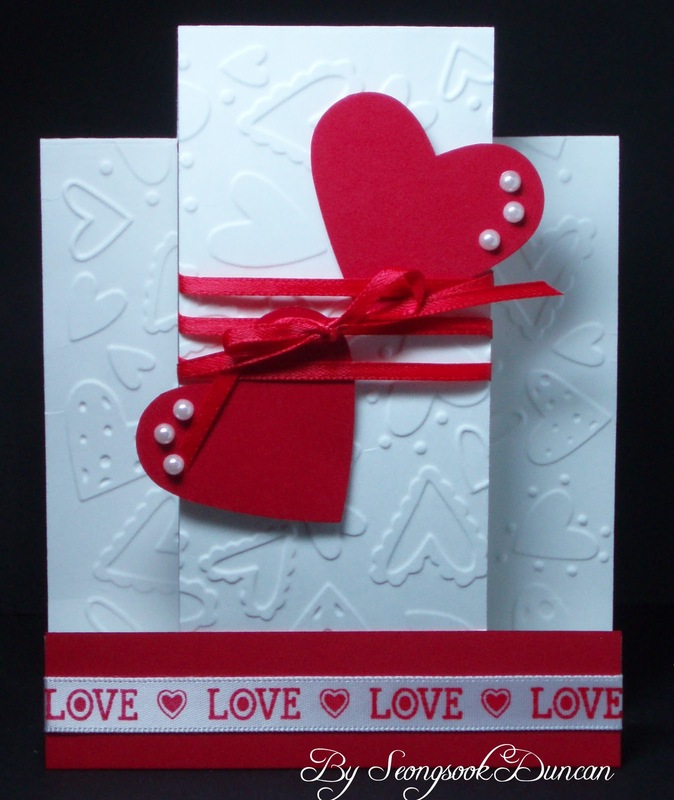 I wanted to come up with a different look for each card by choosing different shapes. I was pleased how these are turned out although I was not sure about the second one. I shouldn't have worried about the square to fill with the busy sentiment. 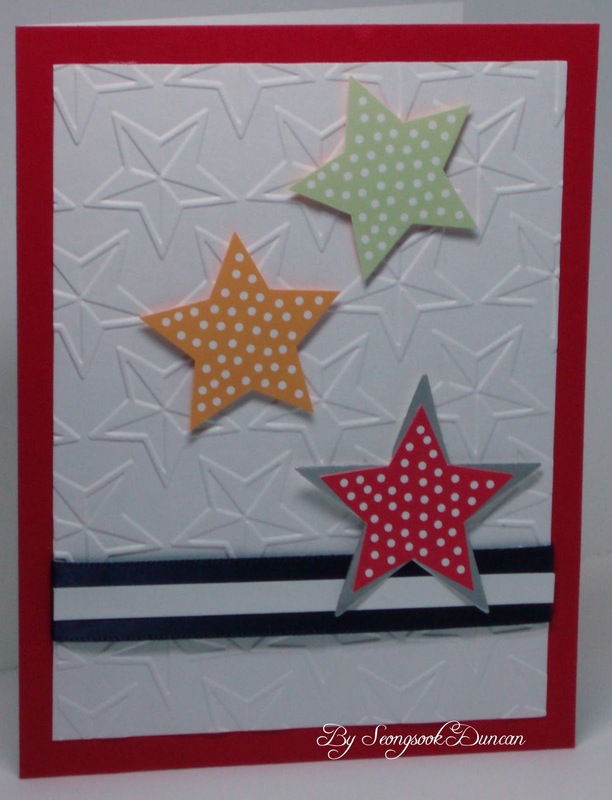 Anyway, you can see how easy to play with this sketch by changing shapes such as stars, flowers, butterflies, on and on. I love it. 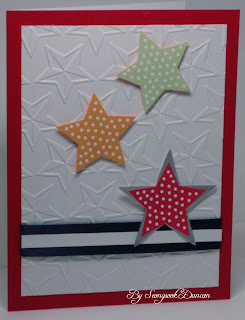 For this card, I cut out stars from the patterned paper. 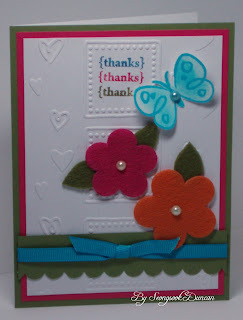 For this card, I used felt flowers and punched out butterfly from Stampin' Up! 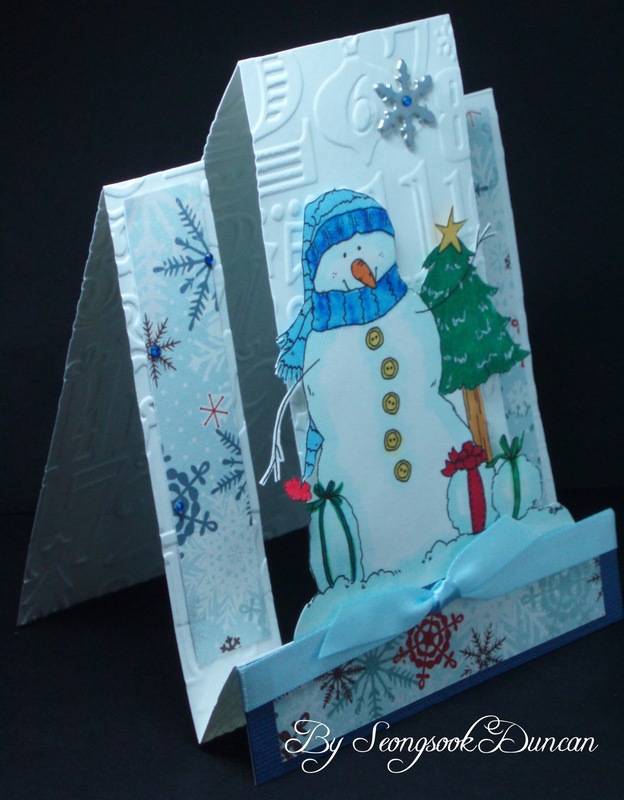 This is my favorite! 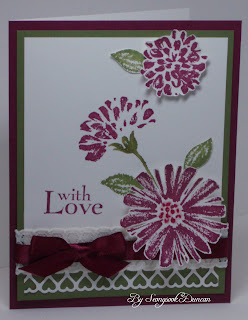 I love this Rich Razzelberry color in person and the stamp set from Stampin' Up! that you can create in many different look. 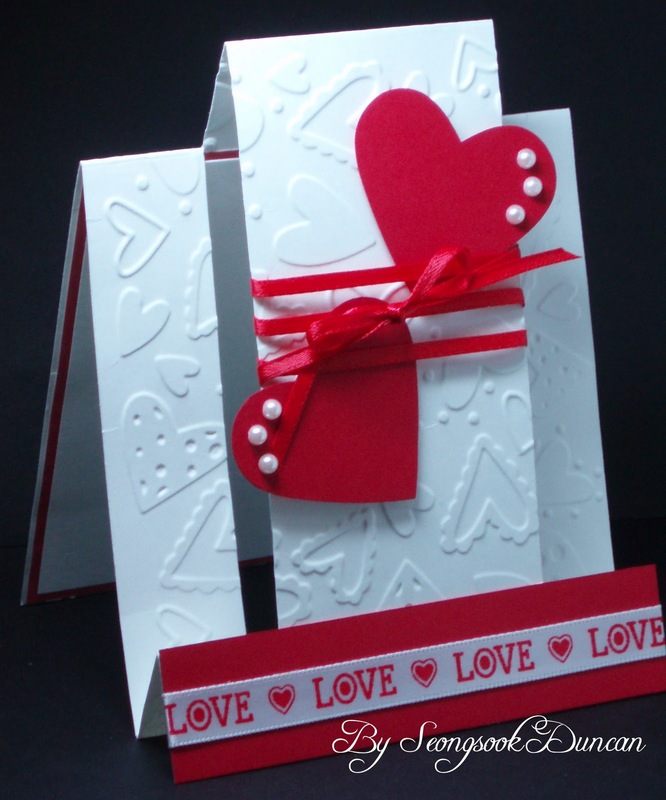 November's challenge: VALENTINES and LOVE cards! 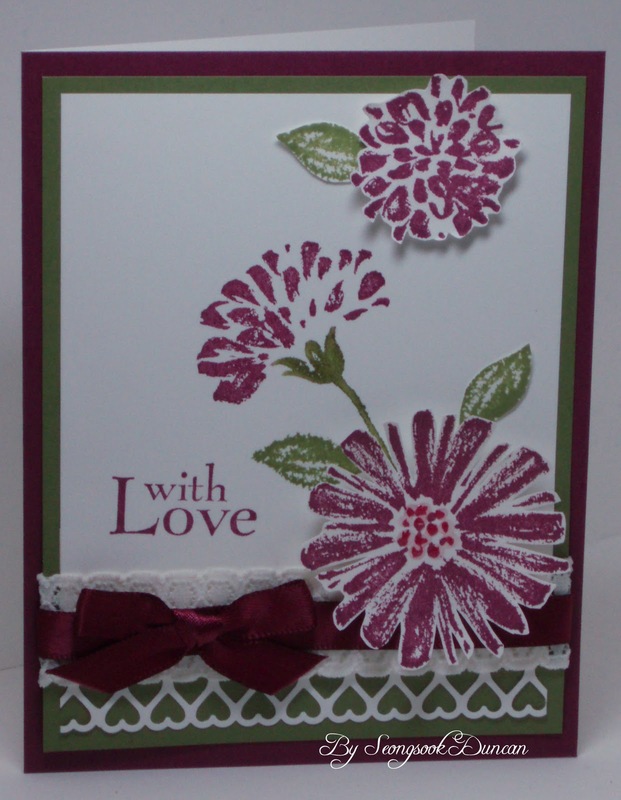 Every first Saturday, OWH Stars & Stamps blog will post Our Daily Bread Designs' monthly challenge. ODBD sponsors a monthly challenge in support of our heroes. 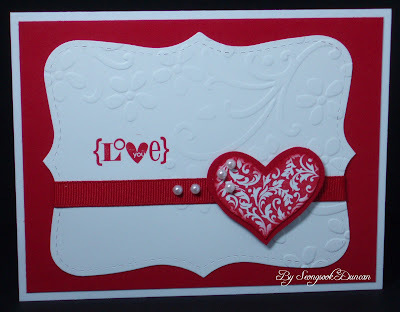 For more details, please visit OWH Stars & Stamps blog. 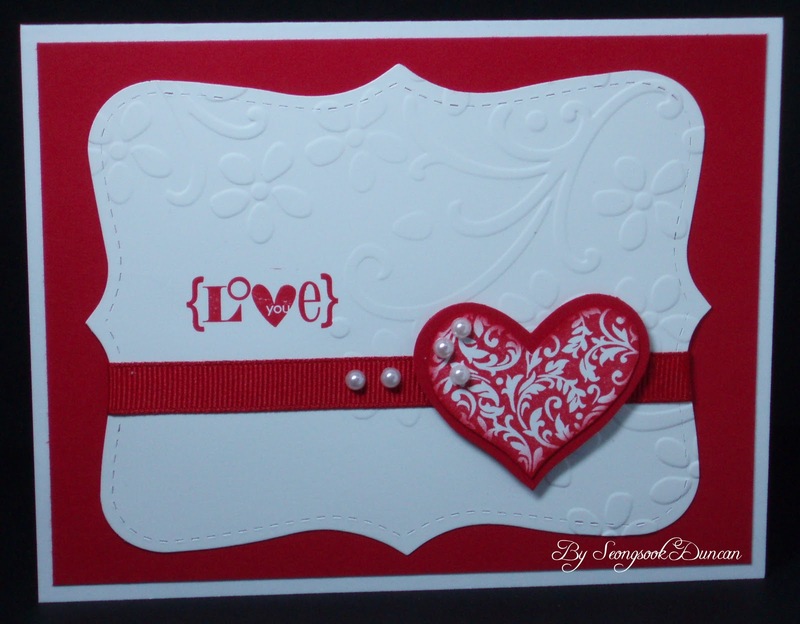 I 've been playing with Center Step Card template and came up with this love card for this challenge. 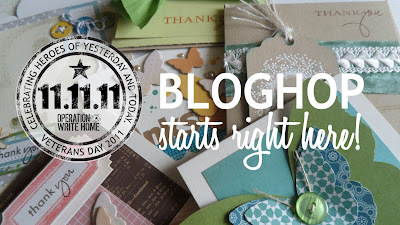 I made it simple with lots of thoughts. I am happy with how it turned out. 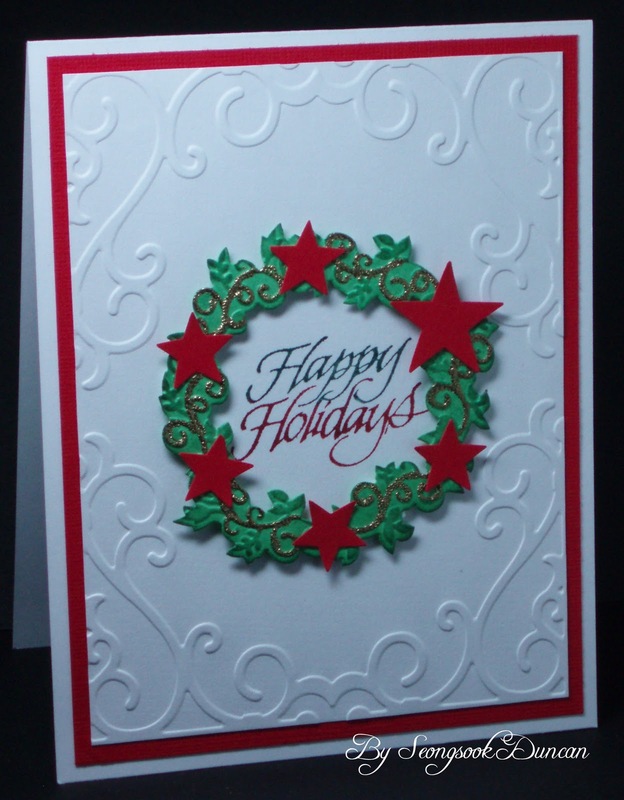 These are all beautiful cards. I love them and like to CASE. 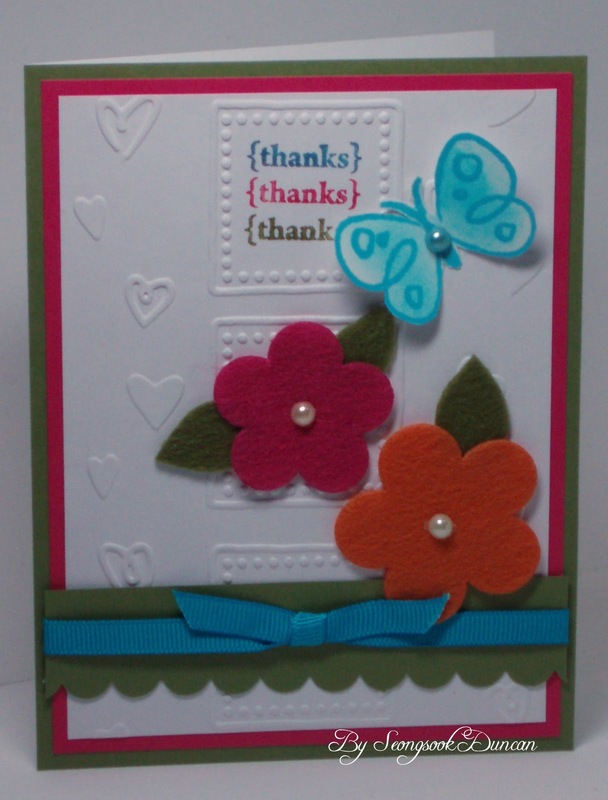 Thanks to all my Card Maker friends!